Our full line of potable water treatment chemicals are AWWA/NSF approved. Let us help with your water treatment system – everything from problems improving coagulation and turbidity, to improved distribution-system corrosion control. The extensive Aries water treatment chemical product line is supported by our team of water treatment specialists. Our potable water treatment chemicals and systems will improve your process by utilizing our full capabilities from bench-scale laboratory testing thru pilot scale studies to full scale trials. To speak with a technician about our potable water treatment chemicals, call (315) 346-1489 or fill out this form. Give us a call at (315) 346-1489 to learn more. Diatomaceous Earth and Perlite Filter Aids for Raw Water Filtration. 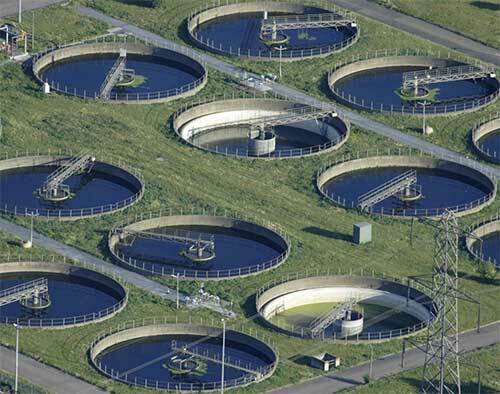 Inorganic and organic coagulants for wastewater treatment tp improve filtration and clarification. Product line includes aluminum and iron based coagulants along with polyamine and poly DADMACs. Custom blended products available. Polyacrylamide Flocculants to aid clarification in potable water systems. Pulping & paper making aids for recycle fiber include wet strength re-pulping aids, stickies & pitch control, de-inking, washing & floatation aids. Corrosion Inhibitors designed for use in water distribution systems. Ortho and poly-phosphates and zinc orthophosates. Powdered and Granular Activated Carbon Grades for organic removal. Scale Inhibitors for raw water Ultra Filtration and Nano Filtration and RO membrane systems. Ion exchange resin for metal removal including Arsenic. Liquid and dry disinfection agents. Aries Chemical is a leader in innovative potable water treatment chemicals and systems. Let us know your situation and we’ll research whether a chemical based solution with coagulants and scale inhibitors is best, or if changes in your process make provide the outcome you desire. All our water treatment systems and services are designed and engineered to produce results for you.